InTech is a pioneer and world’s largest multidisciplinary open access publisher of books covering the fields of Science, Technology and Medicine. Since 2004, InTech has collaborated with more than 85545 authors and published 2315 books and 7 journals with the aim of providing free online access to high-quality research and helping leading academics to make their work visible and accessible to diverse new audiences around the world. 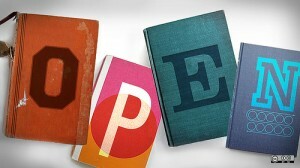 Open Research Online is the Open University’s repository of research publications and other research outputs. It is an Open Access resource that can be searched and browsed freely by members of the public.